This is the FRAMED painting shot from Josh' educational tour to Philippine Airforce Museum last year which also gave me hundreds of interesting shots like this one which shows some of the airforce activities. 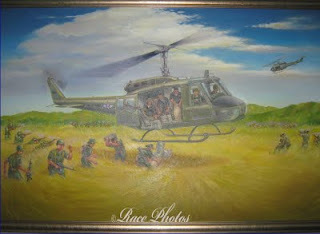 This painting was done several years ago gauging from the look of the painting and how the museum present it. Everything that's been shown in the airforce museum is assumed to be old collections. For more of 'Framedl' themed photos just click the badge above!